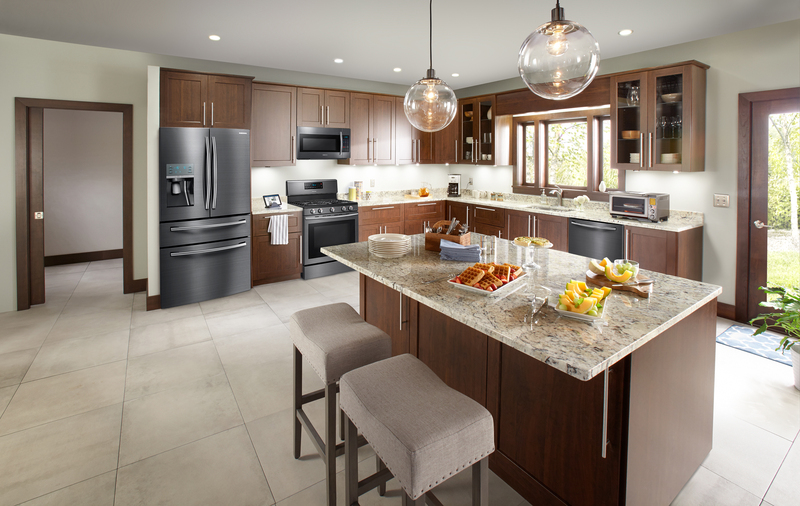 Save on Samsung Appliances at the Best Buy Remodeling Sales Event! My husband and I are no stranger to remodeling. We completely remodeled our kitchen when we moved in to our house, ripping out everything down to the studs and starting from scratch. Remodeling can be stressful, and it can also add up quickly. Best Buy is offering lots of great deals on Samsung appliances, so that you can stretch your money that much more! Up to 30% Major Appliance Top Deals. Plus, get a free $100 gift card when you buy 2 Major Appliances totaling $1500 or more! Not only can you save on individual appliances, but if you bundle your purchases, you save even more. This would be perfect for redoing your kitchen! Samsung Bundle & Save (ENDS 4/4) – Save an Additional 10% on select Samsung 4-piece Kitchen Packages. Check out how you can save when you bundle here! Appliances have really come a long way, even in just the last couple years. I would love to get my hands on these! Here are some of the great Samsung appliances to choose from. Find your favorite foods with just a glanc. The Food ShowCase door keeps stored items visible and within easy reach. Check out all these great deals over at Best Buy! I would LOVE to update my appliances – especially my fridge. That thing is so old and I know it doesn’t have much life left in it. That fridge is one of the most wild things I’ve ever seen! It’s very sleek too! I had no idea that Samsung was making appliances! Very cool! We will be needing a new oven in the near future so i’ll have to keep my eye out when the time comes! Wow your kitchen remodel turned out beautifully. Bet you are so happy to have the most used room in the house finished and so great looking. All the appliances look wonderful. 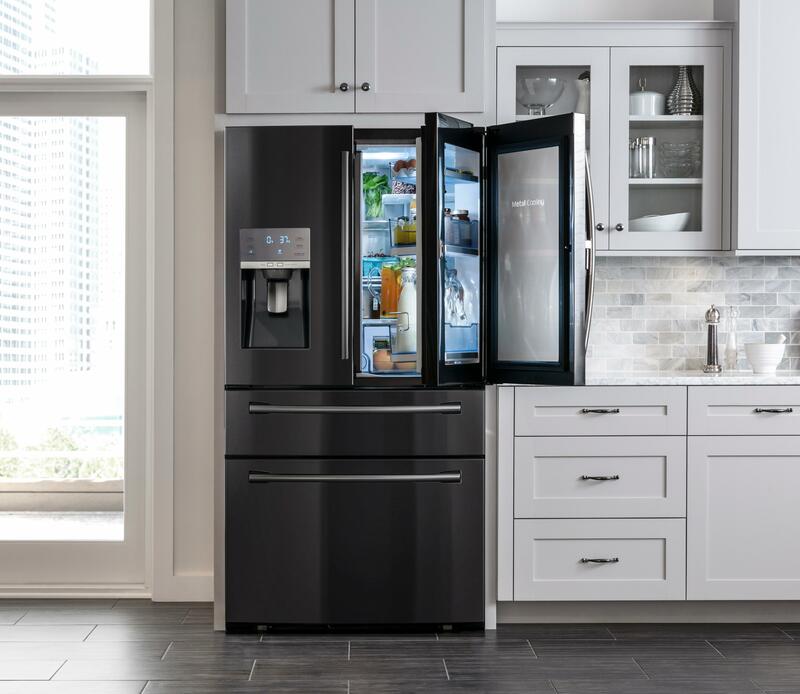 I just saw a commercial about the glass door fridge and I am totally obsessed with it! I would love to be able to peer inside my fridge…but I guess that means I would have to keep my stuff better organized, too! Our stove and refrigerator both are Samsung and we have been very happy with both. The stove is still new, only a few weeks old. We are still keeping it really clean 😉 30% appliances is a really good sale!! That is a gorgeous kitchen! I wish I owned a home so that I could remodel and have better appliances. I saw that fridge at a Best Buy open house in Atlanta and it is awesome. I want one of those for my kitchen so badly! I wish I need an appliance because this would be a great deal! I absolutely love that refrigerator. I would love to have that stove too. We are in need of new appliances in our kitchen. That fridge looks amazing! It is large and the features seem pretty awesome. The range is the item we need most in our kitchen. Since my other half is a whiz in the kitchen, the one you featured would make cooking more enjoyable. These appliances looks fantastic. I would love a new stove with extra burners. I just got a new fridge and I love extra space. This is a great deal, and I love using Best Buy. I need a stove, and I would get another appliance, too for the special. Wow! 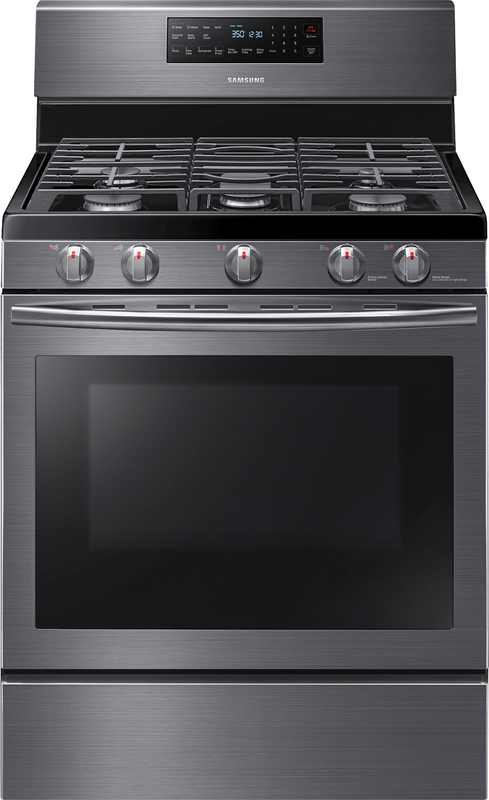 If Samsung appliances are anywhere near as good as their phones, then they are great products. I absolutely love my phone, and I have had it for well over a year now. I would not trade it for anything. We love to shop deals at Best Buy. I plan to check out their kitchen appliance over the next couple of years. I am hoping to replace my appliances this summer. I will have to go to Best Buy to see the Samsung collection. We love Samsung products and shopping at Best Buy. The remodeling sales event we are for sure going to have to check out. This oven and refrigerator sound amazing. Thanks for sharing the Samsung appliances and the sale. These are awesome appliances. I would love to do a kitchen makeover with these products. Nice! I’m looking forward to upgrading my appliances. We have regular black, I was stainless, I want water spouts on the front and all of that.